Beat Generation artists in front of City Lights Books store in San Francisco, 1963. 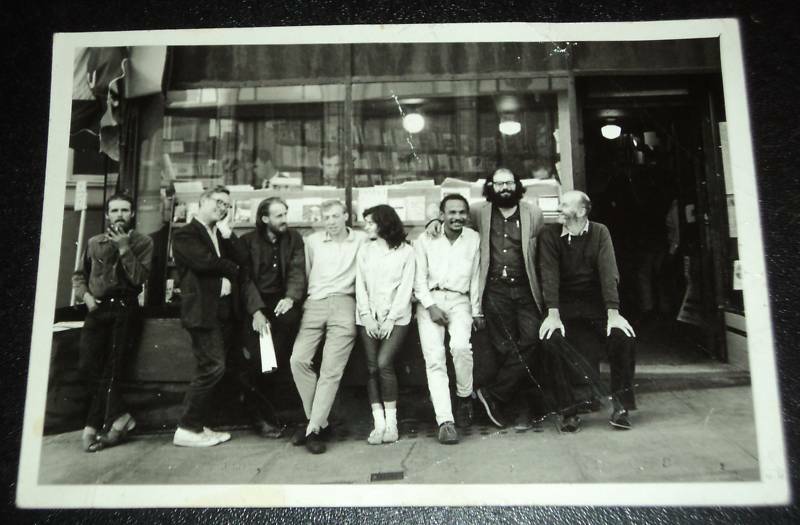 From left: Pat Cassidy, Philip Whalen, Robert Ronnie Branaman, Alan Russo, Ann Buchanan [aka, Ann Plymell], Bob Kaufman, Allen Ginsberg, and Lawrence Ferlinghetti. Photograph by poet Charley Plymell, (used with permission, copyright 1963-2018, all rights reserved). Return to Beats In Kansas or to the Kansas Heritage Group or to the WWW-VL: History: USA 1960s History.